READ: A Letter to President Buhari From the FUTA Student Union on The Impasse Of the Citadel. 1. The students of the Federal University of technology Akure can no longer be a suffering grass while two elephants are fighting. 2. The crisis rocking the best University of technology is not only a dent to the university herself, staff and the students but also a national embarrassment to the whole nation. 3. The crisis that had so far paralysed both the administrative and academic activities and which nearly stop our graduating students from getting mobilized for this year youth service is due enough to have attracted or gain the attention of the visitor of the varsity(President Muhammadu Buhari) but to our greatest surprise the President attitude to education is not very clear and visible, with his attitude to FUTA crisis and other varsities that is under lock and key. 4. Nevertheless we must appreciate Hon. Olowokere the, Hon parliamentarian representing AKURE NORTH/SOUTH federal constituency for bringing up the issue at the floor of the house of representative. 5. The effort of the Hon is well acknowledged and also some other high profile personalities which does not exclude the DEJI of Akure kingdom. 6. But its quite so pitiable and unfortunate that the efforts put together by the aforementioned could not restore normalcy to the most peaceful campus that had now turn to battle ground between the university vice chancellor and the staff of the University. 7. It has now gotten to a stage where the students must come out in clear terms to get our future back from those that are working unrelentlessly to ensure the fulfilment of each students doesn't come to manifestation. 8. We can not sit idle while the leaders of the nation and other concerns education stakeholders(NUC, MINISTER OF EDUCATION) has turned a deaf hear to FUTA crisis, they behave as if everything is well with FUTA and in other universities across the nation whilst our university is in comatose and is urgently in need of a good surgeon that will carry out the operation needed to revive it. 9. We hereby call on the President, to as a matter of urgency look into the crisis that had put the hope of more than 15,000 students to hopelessness and our future has now been cloud computed. 10. The visitor attention is the best and the most appropriate things needed to salvage the impasse rocking our campus(FUTA). 11. The President must also put into consideration that if we really must get out of the economic crisis rocking our country then the educational crisis must be severely dealt with. 12. 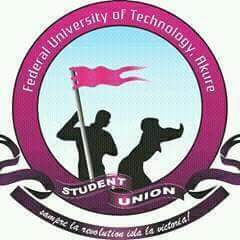 We appeal and urge you to give more attention to education sector and particularly the Federal University of Technology Akure as technology is one of the needed tools to drive our economic and FUTA being the best University of Technology must be given a proper attention to all issues that arise or comes from there. 13. The effort of the ministry of education is not enough and as thus more proactive measure must be taken to bring about a fast solution to the impasse. 14. We once again call on the Federal government through the Hon minister of education to put all things in place to ensure peace return to FUTA. 15. we must not but also call on the two parties involved in this crisis to shelve their sword and allow normalcy to visit us once again in FUTA. 16. The students union equally wish to alert the Federal government, the vice chancellor and the protesting staff unions to be ready and prepared to accommodate us when we begin to show our displeasure on the street. 17. If our demand is not urgently met within a period of 7 working days, we shall not hesitate to paralyse all activities within Akure metropolis. 18. Motorist and commuters should hold the Federal government accountable for any difficulties and hardship our demonstration may cause to them. 19. The union must at this time appreciate the patience exhibited by our union members but such patience is becoming too painful and anybody that touches the tail of an hungry dog must be ready to take anti rabies injection. 20. The union wishes to inform the students to be on a red alert and also must be ready to come back to school as we will not hesitate to direct all students back on campus if all arsenal at our disposal has been exhaustively used. 21. Get yourself prepared to take your future, our future back from those that says they will ensure we are going to be forever put into a life jail of ignorance and illiteracy. 22. As it has been widely said that an enlighten and educated mind is always difficult to enslave. We refuse to be enslave and as thus we must resume. For;ALL STUDENTS OF THE FEDERAL UNIVERSE.